If you are looking to pursue collaborative law to settle a dispute in Texas, Austin mediation lawyer Abraham Kant can resolve your dispute without going to trial. A legal dispute between two parties doesn’t always have to go to trial. Collaborative law involves several types of alternative dispute resolutions. Alternate dispute resolutions can provide parties with mutually agreeable solutions to their disputes at a fraction of the cost and time investment incurred by a court battle. The success of these methods depends on how agreeable and accommodating the opposing sides are willing to be with each other. In a contentious divorce or other legal matter, alternative dispute resolution may not be possible. 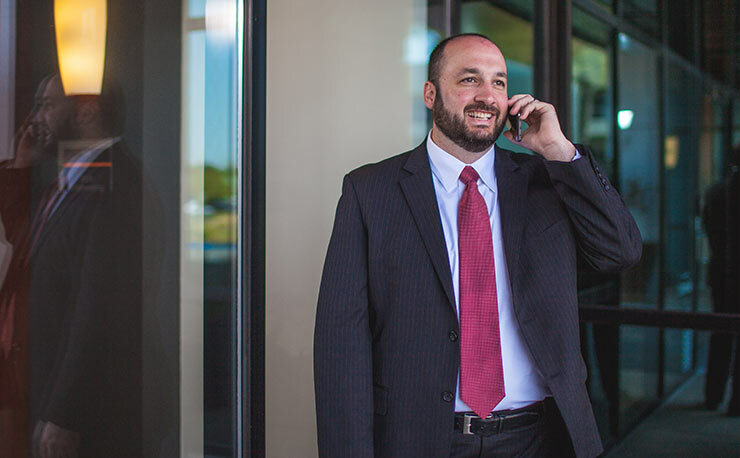 To learn how an Austin mediation attorney can help you during a legal dispute, contact Abraham Kant Esquire today to schedule your free, initial consultation. During a settlement negotiation, the two opposing sides and their mediation attorneys meet to settle the dispute out of court. Depending on the nature of the dispute, this may be a very straightforward process. By avoiding trial, the two sides save money on legal fees and save time with a faster agreement. Typically, the at-fault party in the negotiation agrees to the other party’s terms for restitution or compensation. In return, the other party agrees to drop the lawsuit. Once the negotiation succeeds, the two parties draw up an agreement and file it with the court, making it a legally binding resolution. This is a more formal version of negotiation in which a neutral third party acts as a mediator. This is a great option during contentious disputes with very clearly defined assets or damages involved. The mediator can help clarify any ambiguity in the dispute and negotiate a fair solution for both parties. Just like in a settlement negotiation, the mediator and the opposing parties will draw up a finalized agreement after the mediation and file it with the court to make it binding. This method is more formal than negotiation but not quite as formal as a trial. Although the arbitration process is very similar to mediation, arbitration is more binding. Arbitration typically offers very little opportunity for either party to appeal the arbitrator’s final decision. Nonbinding arbitration still offers the opportunity for one party to take the case to trial. Binding arbitration will settle the matter completely. Arbitration is more complex than settlement negotiation or mediation. This route is often preferable for couples with vast wealth and many assets or for business partners who decide to go their separate ways. It’s essential for anyone considering alternative dispute resolution to understand the nature of the possible final rulings; some forms of alternative dispute resolution will prevent the parties involved from taking future actions on the issue. The use of a third-party mediator to help divorcing spouses resolve issues and divide assets can be very valuable. Divorce is already a stressful, highly emotional process, and the less burden placed on the divorcing couple, the better. While it may be difficult to reach an agreement alone, a mediator can help facilitate respectful collaboration to reach a solution that works for both parties. Mediation allows divorcing couples to exercise a greater degree of control over their divorce proceedings. You retain control of the settlement in terms of both the process and the outcome. In a court process, you do not have this level of control – the court makes the final decisions. While you and your former spouse may not be able to come to an agreement alone, a trained mediator can help guide you in the right direction. Mediation helps maintain and protect the privacy of the divorcing couple. Entering a courtroom to resolve certain marital issues or discuss the division of assets can be unpleasantly public. By forgoing mediation, you expose yourself, your former spouse, and all of your personal issues to the judge and other people in the courtroom. By opting for mediation prior to the court proceedings, you maintain greater privacy since every business item aside from the final decree will occur outside of the courtroom. Mediation helps improve communication between the divorcing couple. If you are seeking a divorce, chances are that communicating with your former spouse is difficult. With a third-party mediator, you can facilitate amicable, collaborative communication and a less stressful decision-making process. Mediation can also help you cut down on court fees and attorney costs. Litigation through court proceedings in divorce cases can add up quickly. With mediation, you skip most of the court proceedings and only have to attend for the final decree. Mediation can help you and your spouse reach a quicker resolution than you could in the courtroom. At the end of the process, you reach an agreement that satisfies both parties. If you have children, mediation can help reduce the impact that a stressful divorce could have on them. You maintain a better relationship with your former spouse than you would if you entered into a combative court environment. If you have children, mediation can help reduce the impact that a stressful divorce could have on them. You maintain a better relationship with your former spouse than you would if you entered into a combative court environment. Mediation is not a formal court process, but it does follow a distinct series of steps to resolve conflict and reach a mutually beneficial agreement for all parties. The mediation process follows six stages from opening statement to closure. Stage 1. Mediator’s opening statement. The mediation process will begin with the mediator introducing him or herself, explaining the ground rules of the process, and the goals that you and your spouse can work toward in a cooperative way. Stage 2. Disputants’ opening statements. You and your former spouse will explain your reasons for engaging in the mediation and your individual goals, separately and without interruption. Stage 3. Joint discussion. The mediator will then facilitate a discussion about the issues raised in the opening statements. All parties will determine what issues you and your spouse will need to discuss. Stage 4. Private caucuses. You and your former spouse will each meet privately with the mediator in a separate room. You will discuss your needs and the compromises you may have to make. Stage 5. Joint Negotiation. The mediator will facilitate a joint, collaborative negotiation process between you and your former spouse to reach the terms of the agreement. Stage 6. Closure. This stage can operate in two ways. You and your former spouse will reach an agreement, which the mediator will put in writing. If you do not reach an agreement, the mediator will summarize the discussion and provide next steps. Contact an Austin mediation attorney to explore the process further. Austin family law attorney Abraham Kant has assisted in many successful cases in Texas, touching on every aspect of family law. If you are involved in a custody battle, divorce, partner separation, or other legal matter and wish to explore alternative dispute resolution, reach out to our firm today. Our Austin mediation lawyer has the experience and expertise to help you explore alternative dispute resolutions. We’ll review the details of your situation and let you know which methods may work well for you.